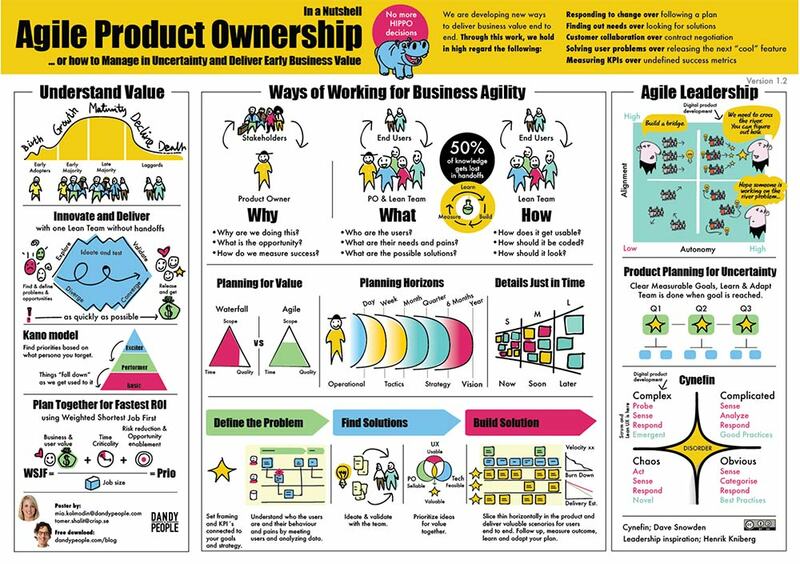 The Agile Product Ownership (not role) is about trusting in the capabilities of the team, and the process of learning as a team, prototyping and testing to find what is valuable and deliver piece by piece. The every day of Agile business and working as a Product Owner is about delivering value. And it is so rewarding when you know that you can do that, even though you in the early stages had no idea what the solution would feel like or look like, and that was probably the only thing you could agree about 🙂 Being able to trust that process and using proper methods to learn and deliver valuable solutions piece by piece, and doing it over and over again. That is what good product ownership is about – and it´s teamwork, not a one mans job. As you already understand I don´t see the product ownership as A role, I see it as a process. I know a share that with my colleague Tomer Shalit (maybe you as well), who co created this poster with me as a result of many discussions, trainings and workshops. 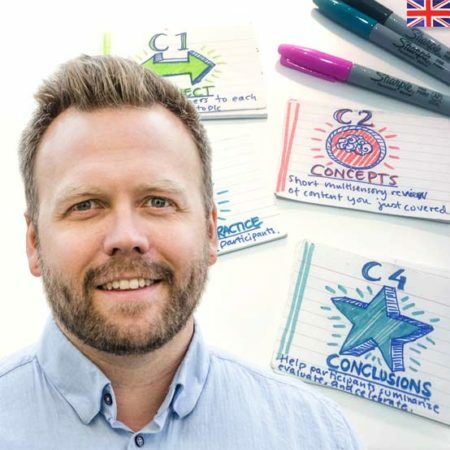 The product ownership process goes all the way from being a Agile leader with a catalyst leadership, creating a vision, clear and measurable goals, to learning what problems needed to be solved to reach the goals, for who and in what context. To planning and breaking it down to smaller releases that can be supported by the technical infrastructure and then following up if you reached the goals or not. In contrary from what many might say, I don´t think the the Product Owner has nothing to do with the actual solution. The solution is up to the team to create. To manage this, obviously, the team need have a clear picture of what problem they are solving, and for who… otherwise the team can´t learn what is a good solution or not, or even what´s a good enough solution, and they definitely can´t innovate. If this works, the PO and the team can manage in uncertainty and deliver early business value and do continuous discovery and delivery. Giving them the super powers to always being able to deliver on time and creating valuable solutions that over time that can be scaled and cater for all type of business and user needs. As I see it, this is the ultimate goal for Agile teams, and the Product Owner is the enabler for that.